Just in case you didn’t know, I am a huge fan of NARS so yes it is kind of given that I would be a fan. 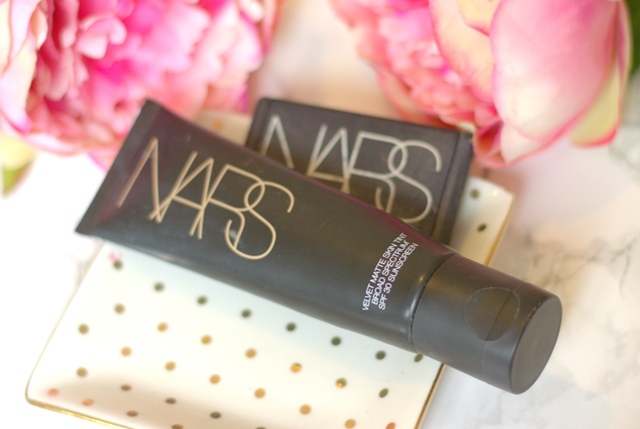 If you are a regular reader of the blog you will know that I love the NARS Radiant Tinted Moisturiser for an everyday flawless base. I have been longing for the same kind of thing but in a matte finish for a while now and then in comes the new Velvet Matte Skin Tint. Obviously, being NARS the packaging is just…wow. The product itself it so creamy and a little goes a long way. I would suggest using your fingers because the product is so lightweight it could get lost in a brush. You can pat it all over your face and you get instant coverage that is lightweight and flawless. Usually with a foundation, BB cream or tinted moisturiser even if it is matte, I always feel like I need to powder a couple of hours later as my skin looks a little oily around the t-zone. The Velvet Matte Skin tint actually stays matte though, even after a couple of hours (I do use a setting spray out of habit.) It is said to have shine control with added skincare benefits such as vitamins C and E, facts like this make me really happy! I am a huge believer in using SPF all year around, especially for darker skin tones and the Velvet Matte Skin Tint has SPF 30, which makes it even more amazing! The shade offering is the same as tinted moisturiser rather than the foundation shades. Nice review. I’ve never tried Nars products. Sounds like a nice everyday base product! Yes it is lovely for everyday, I am a bit NARS obsessed! How much is it? And how much SPF does it have? It sounds really great – especially if I can wear this instead of suncreen! Thanks for the review! Haha! Thank you! Ok that’s really awesome! 30 is pretty good. 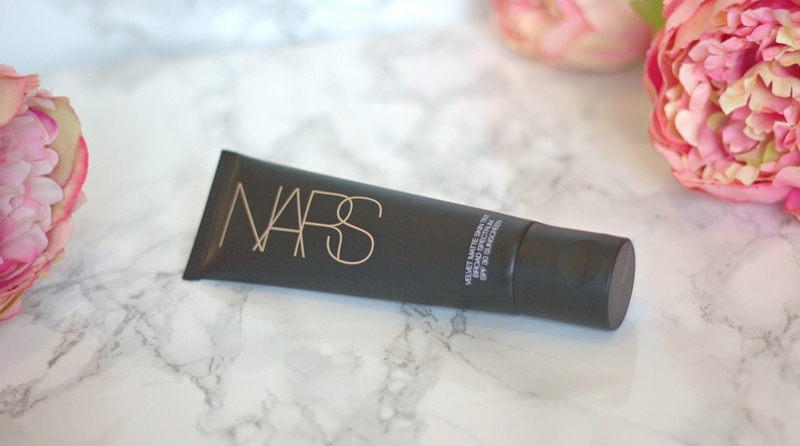 ahh this looks perfect for me as I have oily skin and I love the NARS Sheer Glow – will definitely be trying this! great post ?